The United States had suffered no direct bombing damage to their country during the war, but it was a much different situation in the United Kingdom. Parts of the country had suffered much destruction from the German bombing runs. A ship called The ‘Empire Windrush’, which was en route from Australia to England via the Atlantic, docked in Kingston, Jamaica, to pick up Jamaican servicemen who were on leave. The British Nationality Act 1948 had just been passed, giving citizenship of the United Kingdom and Colonies (CUKC’s) to all British subjects connected to the United Kingdom or a British colony. Jamaica had been a British Colony for the last 300 years. In short, this meant that Jamaican’s could now emigrate to England! The United Kingdom had no immigration control for CUKC’s. They could settle indefinitely in the United Kingdom without restrictions. The Empire Windrush ship was far from full, so an opportunistic advertisement was placed in a Jamaican newspaper offering transport on the ship for anybody who wanted to come to the UK. Many former servicemen of World War 2, took this opportunity to return to Britain with the hopes of rejoining the RAF, while others decided to make the journey just to see what England was like. Even though war had ended three years previous, there was still rationing in Great Britain. Cheap foreign labour was very much-needed to help rebuild the country. Meanwhile in the United States, Mass Teddy and Mabel’s son, Linton Clarence Hodgson was getting married to Winifred Oliver. Linton became their last child to settle in the States. His children from the marriage were to be born American’s. Linton also had two children living at Southfield, Myrtle Millicent Hodgson and Astley Wilton Hodgson. There would be just one more ‘Southfield Hodgson’ – my Aunt Cissy – who would emigrate to America. The 22nd June 1948 was the historic date in Jamaican emigration, that a former German ship, captured by the British at the end of the war, sailed into England. This ship, which they renamed the ‘Empire Windrush’ sailed into Tilbury docks, Essex carrying 492 passengers. 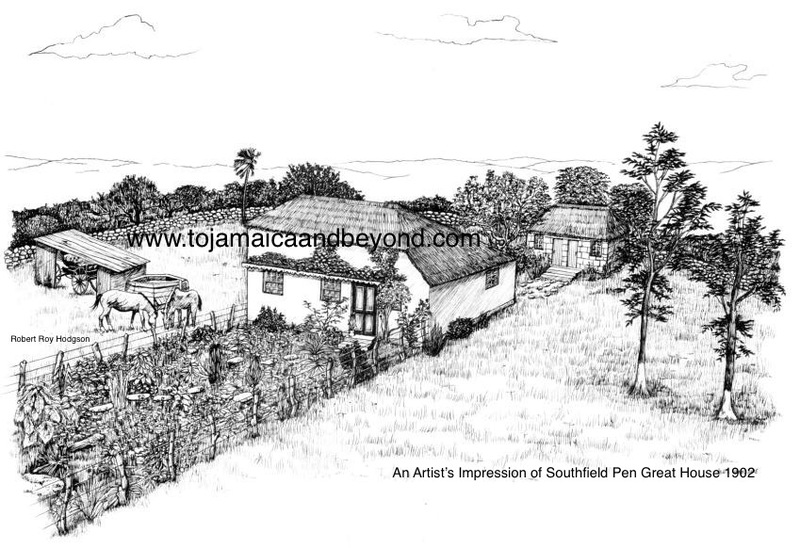 It became the first ‘large group’ of West Indian Immigrants, ever to come to the UK. This famous event would eventually play a significant role in Cecil Hodgson becoming a British citizen. The Hodgson’s were coming to England…. The arrival of the ship immediately prompted complaints from some members of parliament. The new arrivals were temporarily housed in the Clapham South deep shelter in south-west London, less than a mile away from the Employment Exchange in Brixton, where some of the arrivals sought work. Many only intended to stay for a few years, and although a number returned the majority remained to settle permanently. This resulting group of 492 immigrants famously began a wave of migration from the Caribbean to the UK when the ship docked at Tilbury docks. The arrival of the Windrush would prove to be the beginning of the ‘multicultural society’ in Britain. Those born in the West Indies who settled in the UK in this migration movement over the following years were to be typically referred to as the ‘Windrush Generation’. Cecil Hodgson would be one of them. He would arrive in England three years later…. “Here begins our families journey into England. All the Hodgson’s would probably have been American’s if world war 2 and ‘The Windrush’ had never happened. I would guess that no Jamaican’s would ever have been allowed into England without war breaking out. I wonder if my Great Uncle, Cecil would have prefered to go to the United States and be with his family or because he was a ‘British Subject’ did he think the offer of coming to England was too good an opportunity to miss?” Wish I could ask him this question.